These steps will guide you through setting up the Single Sign-On functionality between OneLogin and New Relic. Search for New Relic that is a SAML 2.0 connector and select it. Ensure that SAML2.0 - user provisioning is selected under Connectors. Under Account ID, put your organizations New Relic Account ID. 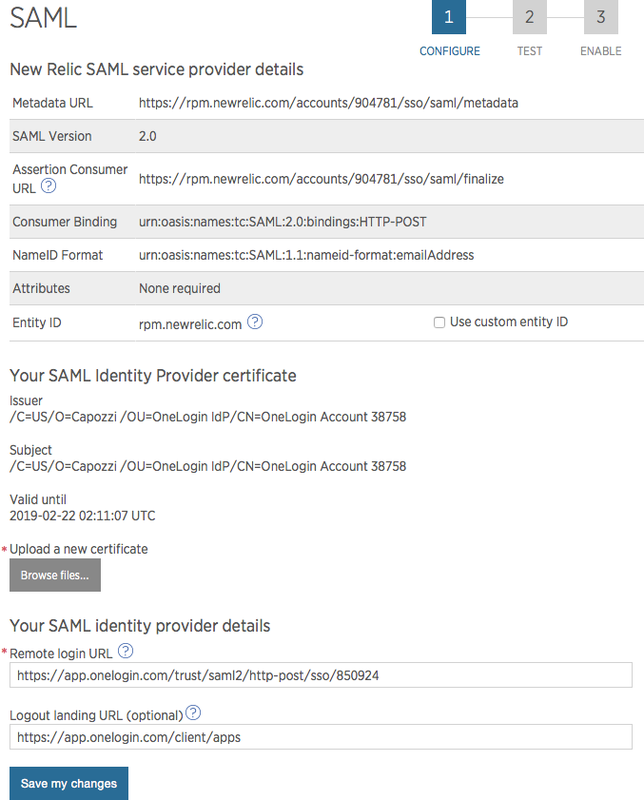 The URL and Certificate will be put into New Relic to confirm the SAML SSO connection. Now go into your organizations New Relic admin account. Select your profile menu and click Account settings. Under Security and Authentication in the navigation menu, select Single sign-on. Click Browse Files and select your .pem X.509 Certificate file.. Under Remote login URL field, place your OneLogin SAML HTTP Endpoint. Click Test SAML Login to test your SAML configuration. Each test will return you to the SAML page with the test results. Once your test succeeds, click the Enable icon. Click Enable SAML login to enable SSO for your account. 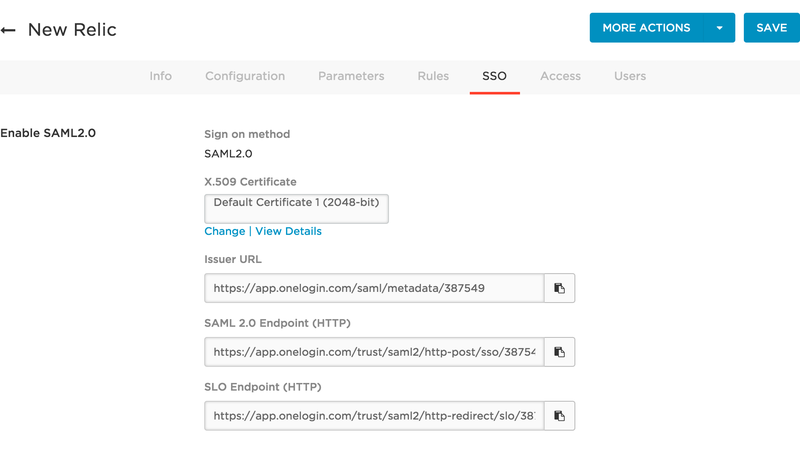 With the configuration complete, OneLogin and New Relic should be connected through SAML! Note: As a SAML security measure, users are not added to New Relic until they complete the email confirmation that is automatically sent to them. This can be bypassed if the New Relic account is of Enterprise or Volume level. Select New Relic to open the Edit Login pane. Here you may overwrite the default fields for your New Relic login and insert the correct information to match your OneLogin credentials with your New Relic credentials.